June 10, 2017 by wp_admin in News | Comments Off on DVD#04: PEN to PASTURE is NOW AVAILABLE! It’s taken longer than anyone wanted it to, but DVD #04 is now available for sale online. 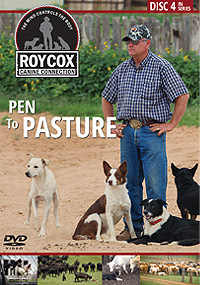 CLICK HERE to purchase PEN to PASTURE now. It’s also now available in the COMBO SET purchases. See ALL of the training material options and combo packs.